The Congress of 2018 is set to be the most diverse in history. The 2018 midterm elections made history with new females, LGBT members, and refugees winning seats in office. As people come to terms with the election results, voters rejoiced on social media, praising the amount of diversity in governmental positions nationwide. “I was really happy to see such diverse elected officials, because I feel like minorities are misrepresented and need more leaders who are devoted to their futures too,” Margaret Than, a Bay Area resident and voter, said. Throughout the years, some voters have pushed for a more diverse government, as they feel that minorities are discriminated against and underrepresented. This year, Colorado Democrat Jared Polis was the United States’ first openly gay governor. 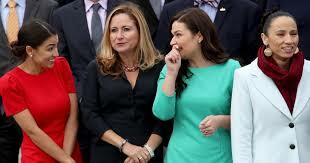 Unlike past years, the midterms were female dominated. Of the many women who ran in this election, 100 were elected and now represent America. However, many have expressed their hopes that this change continues to grow and believe that diversifying the government is only the first step. As minorities become justly represented their rights are expected to grow, and they hope to face less discrimination from society.